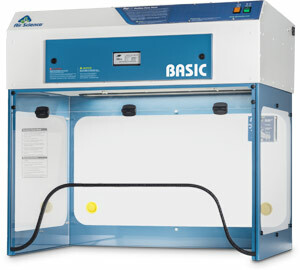 Air Science PCR cabinet was selected for its small footprint in our limited space available. Very easy to work in with plenty of room for maintaining sample integrity. Was worried about the front opening, but find it easy to work with down, and can easily move it up out of the way. Very easy to keep clean.